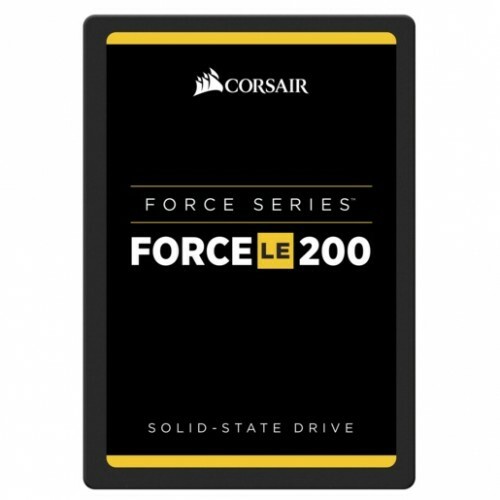 Form Factor : 7mm height, 2.5"
CORSAIR Force LE200 solid-state drives incorporate the latest NAND technologies to ensure fast data transfer speeds, and a wide variety of capacity options to enable performance that is faster than hard disk drives including 120GB. The CORSAIR SSD toolbox unlocks monitoring S.M.A.R.T attributes and SSD health status with support for over-provisioning, secure wipe, disk cloning, FW update and more. It’s easier than ever to upgrade to the speed and reliability of solid-state drive technology.